MyPartnerForever is an international dating site and matchmaking service located near Montreal, Canada. For any question about our services and how to successfully find a bride in Russia, contact us by phone or email. MyPartnerForever is a well-established Russian women dating and matchmaking website who is owned and operated by a Canadian-Russian couple. Alain Lalonde and Yuliya Kuneyeva, the owners, met through a similar service in 2007 and they decided to create such a website that would enable other single Russian women to find a foreign husband. For anyone wondering why there are so many Russian and Ukrainian women who are seeking a husband from outside their country; the main reason is that there are approximately 10 million more women than men in Russia and former USSR, see the latest Russian census. In some areas, the ratio of single women versus single men is of 5:1, which is the case for the city of Grodno, Belarus, where Alain met Yuliya. It is easy to understand that many Russian women are doomed to remain single. Since Russian women and Ukrainian women are typically family oriented, many of them decide to look outside their own country to find the man with who they will realize their dearest dream; become loving brides and create a happy family. Typically, these single Russian women are not looking for a “country” but rather for a decent and faithful life partner. They wish to be with a man who will love them, be loved and who will be a good and strong leader for their family. Of course, there are cases where the woman was rather searching for a better life but the truth is that the vast majority are simply looking for a good husband to spend their life with. Despite that the standard of living is often considered to be higher in countries of the west compared to countries of Eastern Europe, nowadays, the economy is rather difficult in most countries of the world, and most people on this planet have to work hard to pay their bills. Russian women understand this and they are hard workers. Since their childhood, they were raised in a way that they appreciate all those little things of life that many people of the west take for granted. Russian women are generally well educated, quick learners, hard workers and mostly; they are beautiful brides and loving wives. Although there were dozens of Russian women dating agencies on the web, Alain and Yuliya thought that there was a need for one that would focus 100% at offering the right tools, for single Russian women and single men from around the world, to find each other, get to know each other and to finally meet face to face. They did exactly that and the result is MyPartnerForever that is helping lonely hearts to find each other and become happy! 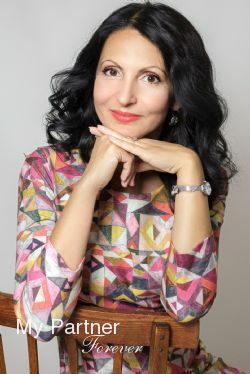 We are an international dating and matchmaking site featuring single women from Russia and other former USSR countries such as Belarus, Latvia, Moldova and the Ukraine who are seeking a life a partner. Our head office is located near Montreal, Canada. We work closely with marriage agencies selected according to our high quality standards.